House Theatre presents this wholly original, ballet-free show year after year because it truly has something for everyone. The show is fast-paced, beautifully choreographed, family-friendly, and moving for even those of us that might be on the grinch's side from time to time. 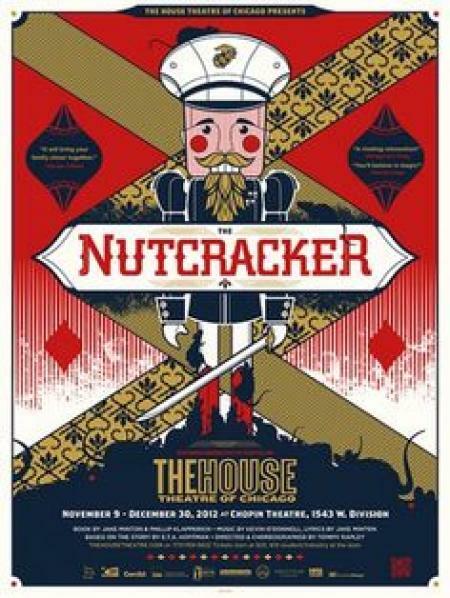 House's fantastical expansion of this holiday classic centers on young Clara's journey to save Christmas in the face of grief. With help of a magical nutcracker, this brave girl will risk the darkness, fight the Rat King, and save her family! This modern holiday production weaves together riveting dialogue, astonishing puppetry, original song, and spellbinding spectacle to tell a heartwarming, darkly moving story of magic and hope -- a fun outing for the whole family.